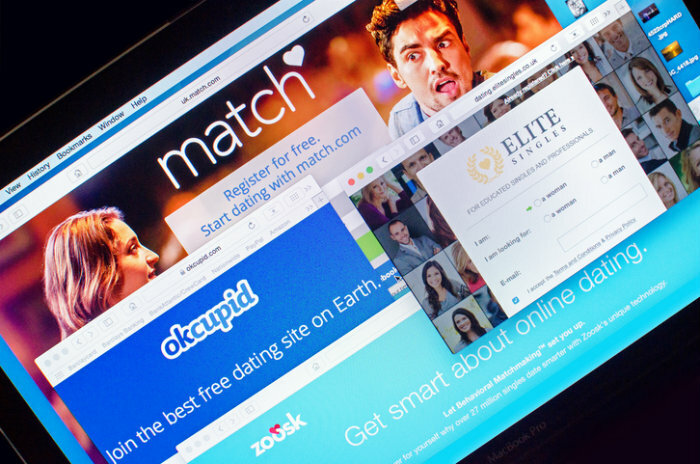 Online dating has developed a stigma, thanks to catfish, creeps, and scammers. A lot of people refute the belief that online dating can lead to a sincere relationship. Although many have negative experiences with online dating, there’s a plethora of people who have had positive experiences with it. Just because dating isn’t exactly what it used to be, doesn’t mean it’s a bad thing. 1. You might make friends. Who says you can’t use apps like Tinder and Coffee Meets Bagel to make friends? Of course, your goal going into it isn’t to make friends. It’s to find a potential partner. However, if you meet someone you click with but aren’t romantically interested in, then you may have found yourself a new friend as long as they are up for it. The great thing about dating apps is that you can meet potential partners from the comfort of your own home. Not everyone wants to go out looking their best in the hopes that they might find their future S.O. Picture yourself cozy in bed with your PJ’s on, and setting up a first date with your current interest. Doesn’t sound like a bad idea now, does it? In other words, the amount of options you have is endless. If you’re not having a good vibe with a person, then you’re literally swipes away from trying your luck at someone else. Unfortunately, some might be catfish, people who create a false identity with someone else’s pictures in the hopes of pursuing an online romance. Always look out for clear cut signs that someone might be a catfish: they avoid talking on the phone or video chatting, they ask for money, they claim to be a celebrity of some sort, or if your relationship progresses at a rapid pace before you’ve met them in person. 4. It’s a shy-friendly option for dating. Many find it difficult to date due to their shyness. Building the courage to approach a stranger and asking them out, is difficult as it is. Imagine how uncomfortable it must be for introverts. Thanks to online dating, approaching someone you’re interested in has never been easier. 5. You are guaranteed to meet people. Dating apps are a useful resource for people who are limited on ways to meet people. It’s not only people in their 30s and older, who struggle with meeting new people. A lot of people have trouble making new friends and coming across romantic interests if they don’t have a hobby, aren’t in school, or don’t partake in bar scenes. Clearly, you’ll more than likely come across countless of people who are expendable, but at least for online dating, it is a surefire way to meet others. 6. Chatting online will give you a reasonable first impression. Some say it’s harder to get to know others through a screen, when on the contrary, this can reveal a lot about the person. Most of the time, you’ll know if it’s worth going on a first date, minutes after a conversation has started between you and your current selection. This way you’re not wasting time wondering if this person is worth going out with. Next Should It Be a Deal-Breaker If Your Parents Hate Your Significant Other?